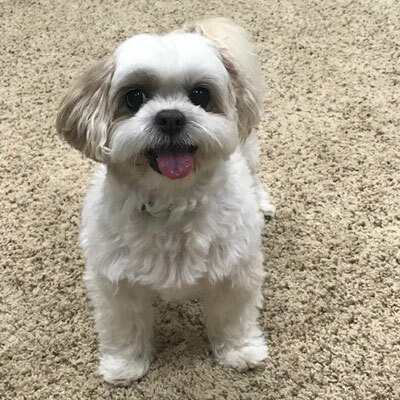 Sophie is a registered, 11 year old Lhasa Apso, and has been working with Neuro Harmony for the past five years as a therapy dog. Her specialty is working with kids and adults who might have anxiety, depression or trauma. When she is not working she love’s getting groomed and a pedicure and relaxing with her favorite dog toys. Sophie practices good work/life balance by playing fetch with the ball, squeaking her toys and chasing rabbits and squirrels. She works for "dog treats" and will "sit" if she gets just the right treat. You can reach her at 1836 Bark Lane in Charleston, IL.